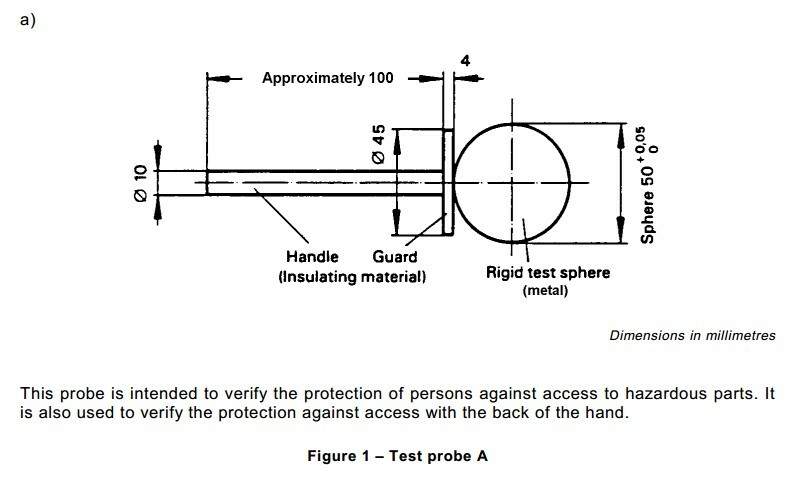 IEC61032 Sphere test probe A Test probe A , Sphere probe, iec61032 probe This IEC61032 Sphere test probe A is intended to verify the basic protectiion against access to hazardous parts. 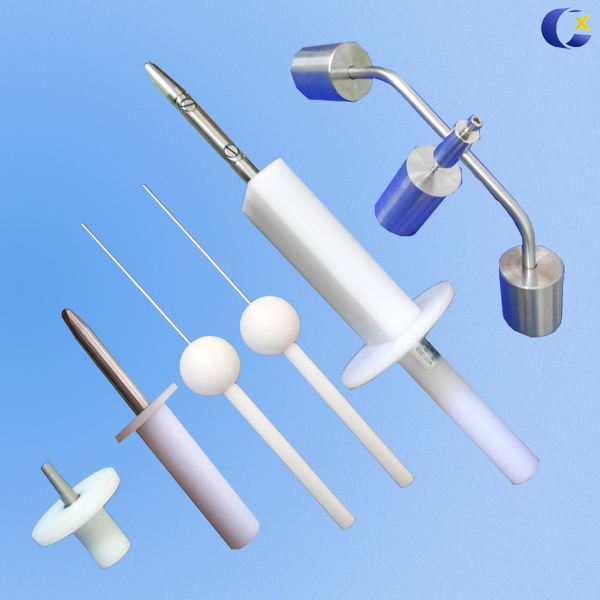 It's the neccessary tool to proceed protecting electric shock test of household and similar electrical appliances. 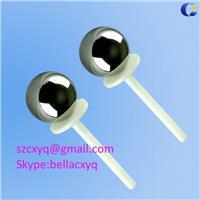 This Sphere test probe A is intended to verify the basic protectiion against access to hazardous parts. It's also used to verify the protection against access with the back of the hand.